Cynthia, to start, I must say "thank you thank you thank you!" 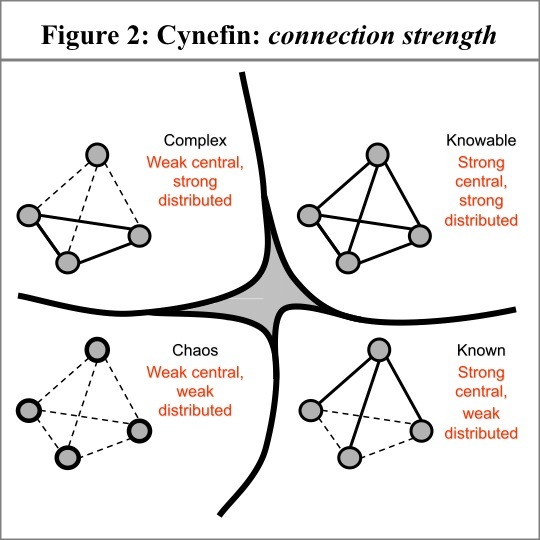 This immensely valuable post has resolved many long-term difficulties for me around Cynefin - its history, development, focus, initial purpose and divergence. I'd always seen in Cynefin this same layering you'd described, and yet I'd been told many times that I was wrong to interpret it that way: from this I now understand that it does indeed exist in there, where it comes from, and why it's not acknowledged by certain of Cynefin's proponents. Thank you! Interesting to note that you and Snowden have travelled such opposite path: Snowden from philosophy to a purported science, and you from science to a (to me) much more real philosophy. "If you know of any other overlaps, reader, please send me a note", you say above. I've been working with 'Cynefin-like' framings for many decades, the first version of which appeared in my book 'Inventing Reality' back in 1986 - see http://www.tomgraves.org/3science . You can see my various interactions with Snowden on Cynefin-related matters in the articles (and comments) at http://weblog.tomgraves.org/index.php/tag/cynefin/ . Most of my books on enterprise-architecture and related themes - see http://tetradianbooks.com - make use of Cynefin-like frames. The most recent of these, 'Everyday Enterprise Architecture' is probably the closest in content and aim to what you've described above: more details at http://tetradianbooks.com/2010/05/everydayea/ - at present you can also download the full content in PDF form. On anthropology and deep-myth, you might find it useful to take a look at some of the Australian equivalents of the Medicine Wheel: see, for example, http://aboriginalart.com.au/culture/dreamtime3.html, and other links via Wikipedia http://en.wikipedia.org/wiki/Dreamtime . 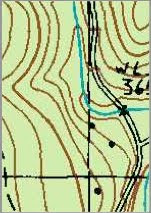 Another useful American crosslink is F. David Peat's 'Blackfoot Physics' http://www.fdavidpeat.com/bibliography/books/blackfoot.htm - that would be particularly relevant to your theme of confluence. Hope this helps, anyway, and would love to discuss this further with you - direct email is tom at tetradian dot com. And thanks again - many thanks. Tom, thanks for your comment and for the valuable links. 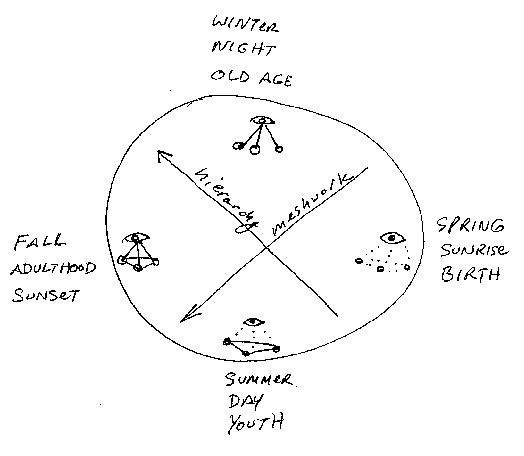 The most exciting for me is that there is an Australian equivalent of the medicine wheel. Though I am also excited to hear about your work and will be reading your writings. I'll just respond to a few points. On boundaries, Dave and I worked some on different forms of boundaries back in the day, but I don't believe we ever settled on anything all that definite. (Perhaps he has since, I don't know.) But I think of models like I think of cars: if they get me from A to B I'm happy, and I don't care that much how many cylinders they have. I know there are lots of mechanics and car designers out there, so they can tinker. I'm more interested in going places. So far in practical terms I haven't found any boundary configurations that actually helped people get to new insights, so I haven't pursued them. 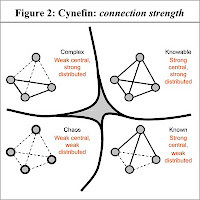 I do have a section in the white paper I mention in the post (The Wisdom of Clouds) where I talk about using different forms of Cynefin (or different sensemaking models) in different situations on Cynefin. So we are thinking alike here. Considering that people reportedly interact with male and female infants differently *from the moment of birth* and considering the massive plasticity of the early brain (as I can plainly see played out every day in front of me) I don't think we can tease out nature and nurture so easily as some have suggested. The gender component is not well known so much as well contested, and the hunting-and-gathering argument has had as many detractors as supporters. The countering "spatial experience" argument is that only men can do this because only boys do this. I've seen studies that say people without the 2D-as-3D ability can "catch up" to some extent if they receive enough help to compensate for the gap in their experience. Others point out that men tend to have more experience than women with computer games, and most tests of 3D rotation are presented in the context of computer-game-like rotations. When I do Legos with my six-year-old son, he can build the model from instructions even when the 2D representation is turned around backward, while I can't. However, Lego is his middle name and has been since he stopped trying to eat them. When I was a girl, girls didn't do Lego (and we had like 100 of them while my son has probably millions). Girls still don't do Lego, from what I hear. My husband spent his childhood soaking in a Lego-like system (Tog'ls was his middle name) and video games. I rarely encountered either and spent most of my time in the woods and in books. I liked Lego, but it was not an option available to me. So it's a heck of a lot more complicated than hunting and gathering, in my opinion. I do believe there is a genetic component to this issue, but I don't think it is necessarily gender based. Many of the skills I rely on in my work, and that I didn't mention, are supposed to be male-only traits. So, really, best not to get me started on that. But let me thank you again for the links to the dreamtime and other sources. I will definitely be following all of this up. Ditto on the thank you for posting this amazing story about an intellectual journey and putting it in a way that makes it so useful for others. I've always been intrigued by how many times I've seen different models and frameworks that, at bottom, are essentially addressing the same primary elements. And this set (because I've been working with Cynefin since the early days that you and Dave first presented at the IKM!) resonates so very clearly for me. I really really look forward to your book. Patti, thanks for the thanks, and for putting it in such a graceful way. I've enjoyed your blog series on social media, by the way; it has helped put the whole thing in perspective for me. I think there is merit in the elements different models and frameworks share, AND there is merit in the details that differ. It's like I wrote in the brambles paper about organizational silos: both engagement and disengagement have their benefits, and it would be a shame to waste either of them. I think I'll print out your last sentence and tape it above my computer screen. It's motivating! 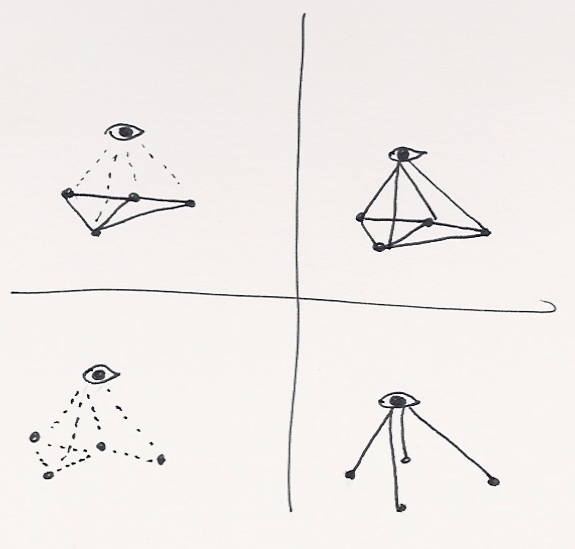 I really like the "eyes" in the early Cynefin model. The current version has lost any reference of "viewpoints". F.e. four "eyes" in the chaos domain would clarify what's going one there must better IMHO. Cynthia - fascinating account, so thoughtful. I'm working with Dave and only now get the value of the tetrahedrons. Keep those eyes! My experience is that the imagery of black lines that are the boundaries between the domains, can confound people. It makes it a model rather than a heuristic. The result is that in my sector (international development), people put EVERYthing in the 'complex' box thereby really warping the whole idea of gradients and partial co-existence of different states. Dave does talk about that and stresses the gradient notion when people start to make the Cynefin heuristic an absolute (so I disagree with TomG that it is not acknowledged) but most people like to label. Multiplicity of heuristics is good. Tailoring them is good. Cynefin is one option, a useful one for many people who are 'liberating' themselves from linear rational planning and pre-determined indicators etc. 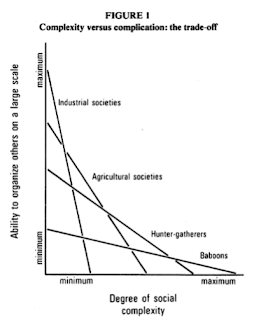 But I'm also all for calling these other models other things if they have different labels and axes. So yes, here's to other models rather than destroying the strength of existing ones. Harold and Irene, thanks so much for commenting! On the eyes, I use them mainly to distinguish between the central directorate (who is trying to control the entire situation) and the pawns (who are trying to build connections and just sort of live without trying to control everything). I take your point, Harold, about eyes being useful to represent perspectives, but if everybody was eyes that distinction would be lost. The dots (in my mind) do have eyes; they are just little tiny eyes that look down. They are local eyes, eyes on a small scale. It is the central directorate who looks out over everything (with its giant eye, which I always draw much larger than the dots) and tries to "organize others on a large scale." Of course these are not people, but tendencies within people and situations and combinations of both, which intermingle. The contextualized derivation of Cynefin (where you place items in a boundary-free space and then derive contextually-meaningful boundaries) arose over the course of several long and intense (and productive) workshops in which we worked on improving the depth and quality of sensemaking that resulted from using the framework. In one workshop in particular we contrasted categorization (with pre-existing domains) and contextualization (where domains emerged) and found that contextualization improved the sensemaking that took place. However, we also found that the simpler process was easier and faster, and less prone to creating frustration and abandonment of the process. I wrote then about creating "learning spirals" in which people use the framework with increasing complexity over time. But later I refined that thinking, and in my "Wisdom of Clouds" paper wrote about how I think the MOST sophisticated use of any decision support system is not simply to move "up" on any scale of complexity but to develop facility in using ALL forms of the system and the ability to tack back and forth between them to produce a multi-faceted benefit. Simpler pre-bounded spaces may be a better entry point, but that does not mean they should be abandoned later as inferior. Thanks again for the stimulating discussion, I'm enjoying it. that should be worth following through. Before I comment any further, can you increase the resolution of the first figure: http://1.bp.blogspot.com/_iKJoNyl5v08/TB-586gg2OI/AAAAAAAAAJc/_mMHF4sUhco/s1600/confluent+model+cropped+and+cleaned+up.jpg. At this resulution I cannot read it while it seems very interesting. Steve, thanks for the great link! I am reading it. Harold, I suppose it was tredidation on my part that led me to shrink the first figure to an unreadable size. It's pretty messy to read if you are not me. I've just redone it as a better looking diagram, both what I had then and an updated version, and will put them them up in another blog post in a moment. 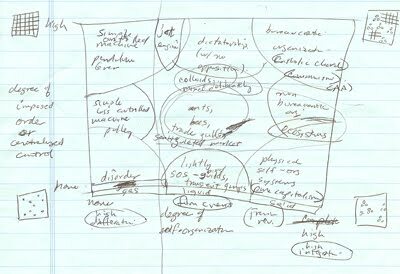 I was one of the early trained cynefin people, in 2003. I too am pleased to hear the other story, as i have felt your shadow over the years, not in a negative way just a concern that a voice was missing. I 've worked with the framework in my job as a crisis manager(turnaround ceo) ever since, and your perspective is one i have used - i also talk about the collective brain and leadership in the non ordered contexts and management in the ordered contexts. Julian, thanks for the comment and yes let's connect (email is cfkurtz at cfkurtz dot com). Whenever I read about techniques with emergent aspects I am reminded of an old quote, possibly from the I Ching, that says times of great potential are times of great danger, and times of great danger are times of great potential. So, while emergent techniques have greater potential in some contexts they also have greater danger in those same contexts - for manipulation, deception and self-deception. That doesn't mean we should reflexively avoid such techniques; it just means we should be aware of both sides of them. It seems to me that nearly everything that works in the unorder side comes inseparably tangled like this. This also connects with stories, which are powerful and dangerous at the same time. As the great philosopher Sting said, the wounds she gave me were the wounds that would heal me. I had not heard of systemic constellations but it seems fascinating (and possibly powerful and possibly dangerous). I just quickly read the Wikipedia article on it, which I'm sure is incomplete. One thing that struck me was that the article said "They are not role playing." That strikes me as odd because it certainly seems to me that they are. People don't need to speak or act to play roles. Roles are agreements, not actions. Indeed that seems to be the whole point of the thing. It also seems a narrative technique, though in a story-making rather than story-telling sense of the term. But of course I know almost nothing about it. Much to learn, as always. Thanks Julian and I look forward to connecting. Peter, thanks for commenting. You make a good point and I agree that every style of visualization requires some understanding and practice (and perhaps some natural ability) to make good use of. As adults we sometimes forget that we spent years learning how to make sense of these things! Seriously, any one who can lend some insight into unidentified disconnects with Dave's model, I'm listening, actively. And everything 'else' that you're looking at is all relevant. But I have one major issue with where you supposedly have commonalities with Cynefin. What the heck is "known" in a business and how is it "known" and who qualifies its validity? I've found of more recent that there is a lot of things 'believed' to be known. But I've also gotten in the habit of actually trying to validate long-held beliefs -- things that businesses fundamentally operate off of. In most cases there is nothing to support the belief -- ok, in many cases there are 'appearances' (I like to think of them as "apparitions" of truths), and often there are people paid to defend the appearances, but they don't DO anything -- at least not the things needed to be done for the purpose of the label they bear/defend. That's only half of it. Even if we did "know" something and it was valid, where is the validity in the label "simple"? I challenge you to find such a reality and offer it as evidence. Thanks for the comment, Paula! You make some interesting points. 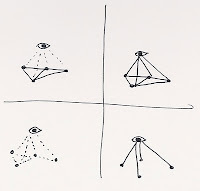 I wouldn't say the things I blogged about are unidentified DISCONNECTS with Cynefin; rather they are CONNECTIONS with Cynefin, and with other frameworks, some ancient. My goal was to bring our attention to confluences, not divergences (though each have their places and merits). The rest of your comment was so interesting that I've made my response (which was getting too long for a comment) into another blog post. See "Of hypotheses and tools, models and frameworks." Thanks again for the thought provoking response. Do you know of the Four-Room Apartment framework for organizational (and personal and social) change? Claess Jansen, the originator, is Swedish, and from time to time writes with an odd sense of humour (for me). For example, in using the religious terms of God, the Devil, the Holy Ghost, I think he is referring to the archetypes underneath or the symbolic meanings of those names, not the actual entities. From what I've read of his work in the past, I do not think of him as religious. Another perhaps-useful tidbit of information. I am guessing you may know about or have heard of the group process design know as Open Space, which has gained immensely in understanding, popularity and use over the last decade or so. It too uses the medicine wheel as an underpinning 'touchstone of sense-making'. Jon, thanks for the link to the Four-Room Apartment framework. Yep, another similar set of ideas. I'm adding it to my list (which is growing and growing). 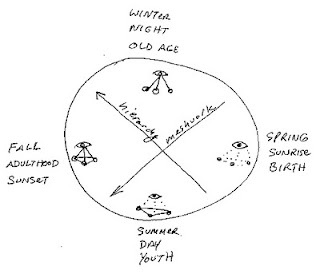 And I didn't know that Open Space (which I like) used the medicine wheel. All great connections and of much use. Thanks again. Thanks for your comment on my blog. I'd be happy to discuss the various models. One things that has bugged me recently about the models of Snowden en Stacey is their distinction of complexity versus complication. The more I thought about it the more I thought it wasn't useful for me to distinguish between different systems. Dave described in one of of his posts that he split the ordered domain into simple and complicated. And I thought, "why doesn't he do that with the complex and chaotic domains as well?" Because some complex systems (for example: three-body problem) are much simpler to describe and understand than others. And some chaotic systems are much simpler than others. And then it dawned on me that structure and behavior are two dimensions. There are ordered, complex and chaotic systems, and all of them can be either simple or complicated. For me, this makes more sense than a separation of complex and complicated in 2 domains. Jurgen, thanks for the comment! I totally agree that many frameworks should flourish and that the more the merrier. The only issue I have with what you have outlined is that the use of the distinction between complex and complicated (to mean self-organization versus organization) is strong and widespread. Repurposing complicated to mean something that can be complex and can be ordered ... might be hard for people to understand and use. I'm all for coining new words, but saying "this doesn't mean what everybody has been saying it means for decades, it now means this" tends just to confuse people. I like the distinctions you have drawn, but I have two reservations: One, the name, as I said; and two, sometimes the line between simple and shall-we-say involved is difficult to place in complex and chaotic systems. You can get some pretty "involved" behavior in a system with only a few elements, from what I've seen, and you can get behavior that looks simple in systems with many elements. But it's all useful food for thought! Actually, the words complicated and complex have existed for centuries, and long before scientists and researchers started attributing a different meaning to complexity. And I only see agreement in that all complexity scientists use the word complex for self-organizing systems. But I _don't_ see agreement on what complicated means and how it relates to complexity. Only few people have actually tried to address this issue. And then, usually, the see complicated and complex as different domains. While I propose that they are about different dimensions. Jurgen, thanks for the comments. It appears that my experience of the use of the words complicated and complex has differed from yours. If you Google "complex versus complicated" you will find many people using the distinction as I do; but you may have seen different things. That happens. My guess is that you will help people more if you pay attention to that fairly common usage, but of course you are free to ignore that advice, as we all are. I believe every framework clears up many misunderstandings, and every framework generates many misunderstandings. No one of us has all of the answers or none of the answers. May we all use what we find around us to make sense of things. From mid-western USA grew the plains people of "Black Elk Speaks" and their Sacred Hoop: http://en.wikipedia.org/wiki/Black_Elk_Speaks. These people lived after the Medicine Wheels and before the Cynefin framework, but on the continuum about which you write. Their Sacred Hoop of Life gives a high-plains version added to the confluence. Lee, thank you for passing on the valuable connection. I've ordered "Black Elk Speaks" and will be looking for more confluence in it. Each of these systems adds something complementary to the whole picture. Anonymous: Your comment is probably spam, but it seems less spam-like than most of the spam, so I thought I'd let it through. Wouldn't want to disrespect Porter, Texas, or bravery. Thanks for your possibly real comment!